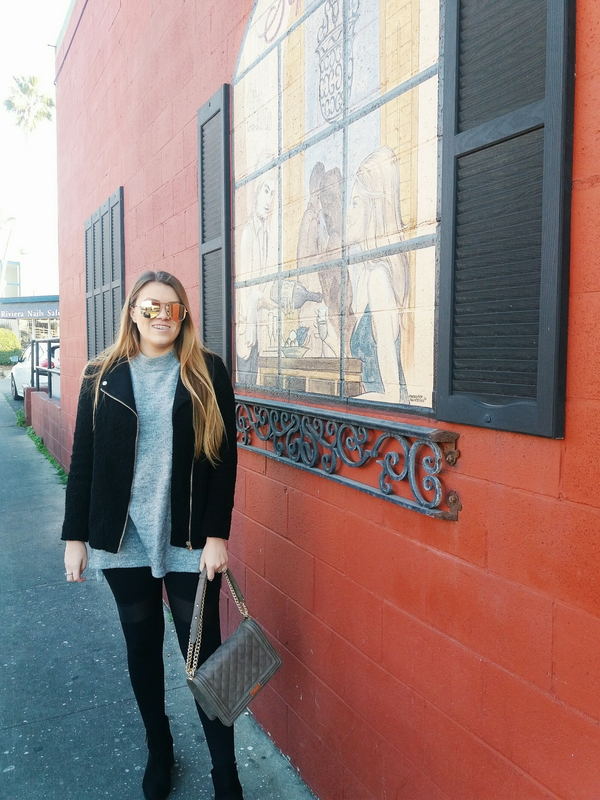 Here is my favorite ootd from this past week. My goal was to create an edgy, yet put together look. By using a simple color scheme, but incorporating bold and flashy details, I was able to achieve this look. 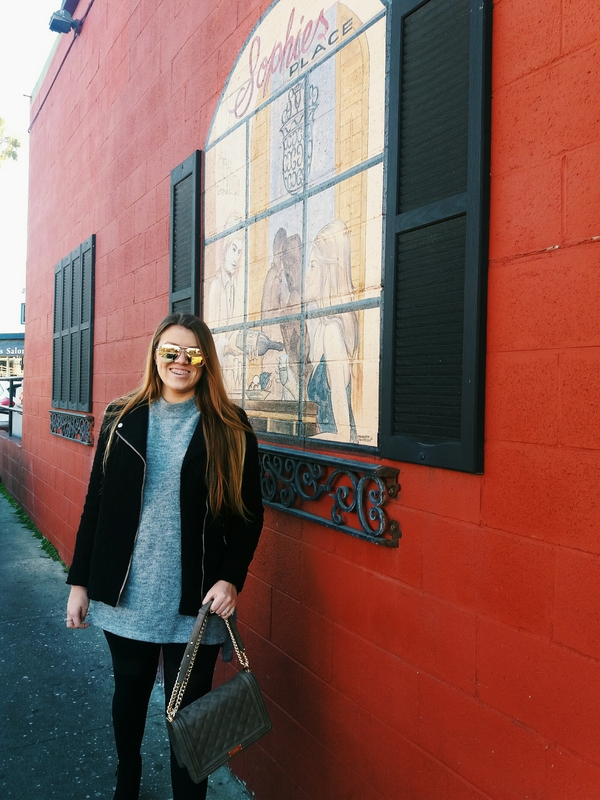 I started my outfit with a simple, comfortable approach: I paired one of my favorite H&M mock turtleneck sweaters (similar one for sale here) with my new pair of comfortable but on-trend mesh leggings from Forever 21. I then took to adding in the pieces that would make the difference. My first goal was to incorporate a jacket that would tie together the feel of the completed outfit. While a traditional leather moto would have done the job, I chose a chanel-style knit for the fabric instead. The moto style jacket that I chose to wear has a wool fabric blend (similar one here), offering the perfect combination of polished-yet-edgy that i needed to merge together the staple pieces with my accessories. The final stage was accessorizing. I already knew that I wanted to wear simple black ankle boots. I chose to finally break the color scheme with my purse, opting for a warm tone. 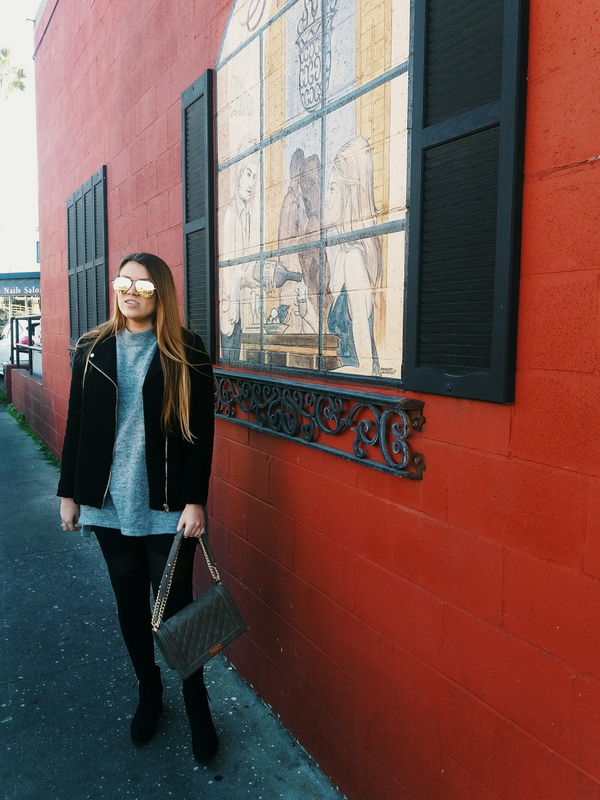 This quilted crossbody from BCBG Paris costs only about $120 in stores, however I recommend searching for them on Poshmark; I was able to get mine for $50! Finally, my sunglasses. Aviators always offer classic edginess, however, I thought that a gold pair would complete the outfit best by repeating the gold scheme found in the purse. I wore Quay Australia High Key Aviators in rose gold. For only $50, these sunnies are extremely durable and offer great UV protection. And yes, they look and feel great, too! The oversize frame is especially flattering on me, since I definitely have a larger face.